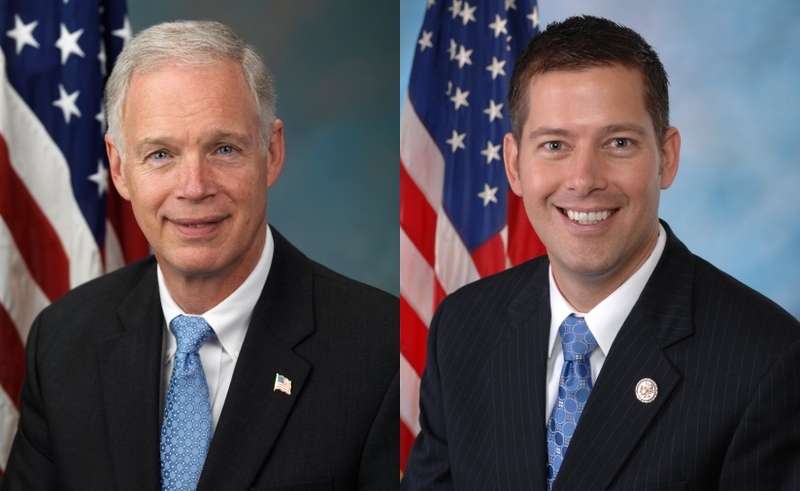 Ron Johnson and Sean Duffy. The vote by a Republican-led Congress to impose sanctions on Russia for interfering with the American election — even at the cost of embarrassing their own president who continues to deny any problem — shows how great the concern has become. There is increasing proof of widespread Russian cyber hacking. And yet there’s also evidence that certain states for targeted for more interference, and one of them was Wisconsin, a fact that surprisingly has gotten little coverage from the state’s largest newspaper. Ultimately, key members of the state’s congressional delegation — Paul Ryan, Ron Johnson and Sean Duffy — may be facing a raft of embarrassing questions over the situation. Yet there’s also evidence that districts and even key precincts in some swing states may have been specifically targeted for anti-Hillary Clinton messages as a McClatchey story has reported. The Kremlin paid an army of more than 1,000 operatives to create fake anti-Clinton news stories and investigators at the House and Senate Intelligence committees doubt Russian operatives could have independently “known where to specifically target… which high-impact states and districts in those states,” McClatchey reported. The investigators “are examining whether the Trump campaign’s digital operation – overseen by Jared Kushner… pointed Russian cyber operatives to certain voting jurisdictions in key states” where “unexpected weakness in voter support for Hillary Clinton” were spotted. Virginia Sen. Mark Warner, the ranking Democrat on the Senate Intelligence Committee, told the news organization “the Russians appear to have targeted women and African-Americans in two of the three decisive states, Wisconsin and Michigan,” in the election. “Twitter’s and Facebook’s search engines in those states were overwhelmed,” he said, meaning they couldn’t discern fake news from real news… “On your news feed, you suddenly got … ‘Hillary Clinton’s sick’ or ‘Hillary Clinton’s stealing money from the State Department,’” said Warner. A post-election study published by the National Bureau of Economic Research found that far more fake news about Clinton was circulated than about Trump, and the fake news wasn’t distributed in a geographically even manner but concentrated in a swing state like Michigan. Even the smallest impact from this disinformation campaign could have changed the election result. “Clinton lost the decisive states of Michigan, Wisconsin and Pennsylvania by a combined 77,744 votes out of 13.9 million ballots cast. She could have won Michigan if 5,353 Trump voters had gone for her instead, Wisconsin if 11,375 votes had flipped to her and Pennsylvania if 22,147 Trump voters had instead picked her,” the McClatchey story noted. Yet even as the evidence of widespread Russian interference has mounted, two key Wisconsin GOP leaders, congressman and House Speaker Paul Ryan and U.S. Senator Ron Johnson, have consistently ignored or downplayed the problem. As I’ve previously written, Ryan was among the 12 members of Congress who were warned by intelligence experts about Russian interference in August 2016, but when President Obama asked GOP leaders to unite in opposition to this, GOP leaders refused, while Ryan oversaw a GOP candidate’s use of cyber-hacked material in a key House race. Other than California, which had three representatives among the so-called Gang of 12, no other state had more representation at this crucial conference than Wisconsin, since Johnson, as head of the Homeland Security Committee, was also included, something the Milwaukee Journal Sentinel’s DC reporter Craig Gilbert has never reported. Johnson was just as negligent as Ryan on the issue. Some House members told The Atlantic that Ryan was “purposely slow-walking the (Russian sanctions) bill to avoid embarrassing the president,” which Ryan denied. But as Trump’s disastrous performance and declining polls have continued, and the evidence of Russian interference has mounted, Republicans realized they had no choice but to pass the law — despite the fact it contradicted Trump’s repeated insistence that no Russian cyber attacks had occurred. The vote was overwhelming: the law passed 98 to 2 in the Senate and 419 to 3 in the House, leaving no doubt of how significant Congress considers the Russian cyber-hacking problem. While it raised questions about Ryan’s and Johnson’s many evasions and denials of the issue, no one looked more silly in voting for the law than Wisconsin’s Republican Congressman Sean Duffy, who back in December claimed the earlier sanctions against Russian by President Obama were politically motivated and in July told the press he had no problem with Donald Trump Jr.’s meetings with Russian operatives. So why did he vote for the Russian sanctions law? Duffy has yet to offer an explanation. Did not all this happen under Obama’s watch ? Wouldn’t are intelligence agency at least attempted to due something in the last 90 days of Obama’s term. If the Democratic National Parties servers were hacked by Russians why did they not give the servers to the FBI. Why did John Podesta (chairman of Clinton) not cooperate with the FBI when Wiki leaks received his Emails. On another note, does anyone care that Barack Obama’s Attorney General and Environmental Protection Agency heads were using Alias to communicate to subordinates to purposely evade the American people. Russian hacking and collusion doesn’t matter because Troll doesn’t like how Podesta handled his emails getting hacked. That’s just priceless. I mean when that’s the best you’ve got, it’s not even grasping at straws. Golfin’ Don impeached before the midterms unless he gets us all killed in a nuclear war before then. Vince, if someone violated your identity and or your property you are the victim of a crime. Why would you not want to cooperate with the Obama administration legal arm? It seems to me that the DNC and John Podesta did not want to cooperate with the Russian investigation. Apparently, judging by your comment section, Troll is revealing last name. I suspect the problem with Russian hacking is that most Americans can’t admit to themselves that phony extreme fake news drumbeats swayed them in the voting booth, though it clearly did. So even with more direct hacking, we will never get a clear answer to the personal denials and the actual impact. But the media should have been asking those questions earlier since everyone could see the extremist opinions and misdirections that happened last year. Podesta’s decisions are a smoke screen Troll. It’s a diversion tactic. If Russia helped Clinton defeat Trump instead of the other way around you’d be calling for her head. Pieces of this puzzle are coming together. Murphy reports that Mark Warner, the ranking Democrat on the Senate Intelligence Committee says “Russians appear to have targeted women and African-Americans in 2 key states: WI & MI.” I posted several months ago on this site that I noticed a dramatic decline in support for Hillary from recipients of calls from a phone bank on Martin Luther King Drive between calls I made from that phone bank approximately 2 weeks before the November election and 3 days before that election. The majority of people I spoke with on the phone on those times were African-American women. Dominique Paul Noth is probably correct in his suspicion that people will not want to admit that their votes were influenced by fake news fabricated by Russian hackers; nevertheless, evidence is mounting that a worst case scenario happened last November: the chief rival of the U.S.A. adversely affected our presidential election. We may need a do-over – constitutional crisis resultant notwithstanding.